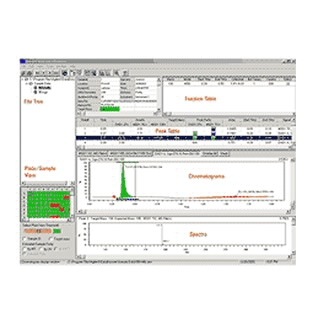 The Agilent ChemStation Data Browser software makes it fast, easy, and convenient to review LC and LC/MS data on PCs without having a full version of the ChemStation software loaded. This is accomplished by generating an intermediate file called an .AEV file on the system acquiring the original data, and then making this .AEV file available to remote PCs through a server or e-mail. A 10-seat Browser license is included with the LCMS ChemStation rev A.10.02 or later. For additional seats, see the ChemStation ordering section (G2727AA opt 1 for 3-seat and opt 2 for 10-seat license). Keep your equipment in top condition and reduce lab downtime! 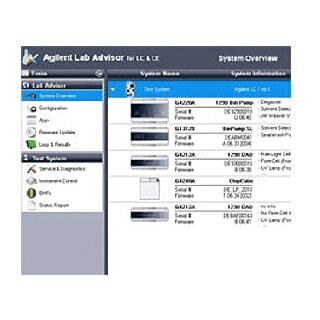 Agilent Lab Advisor is a maintenance, diagnostics and calibration software toolset for Agilent (U)HPLC and CE instruments. Regardless of your lab’s chromatography data system, Agilent Lab Advisor provides full diagnostic and maintenance capabilities including an extended list of tests and calibration procedures independent of the software you use to control your instrument. Lab Advisor’s basic version includes all instrument tests for daily usage and general maintenance/calibration procedures. Lab Advisor’s advanced version offers additional features such as traceability/user assignment, data-sharing/data-reviewing, enhanced early maintenance feedback (EMF) setup, and extended instrument control and signal recording for expert troubleshooting.